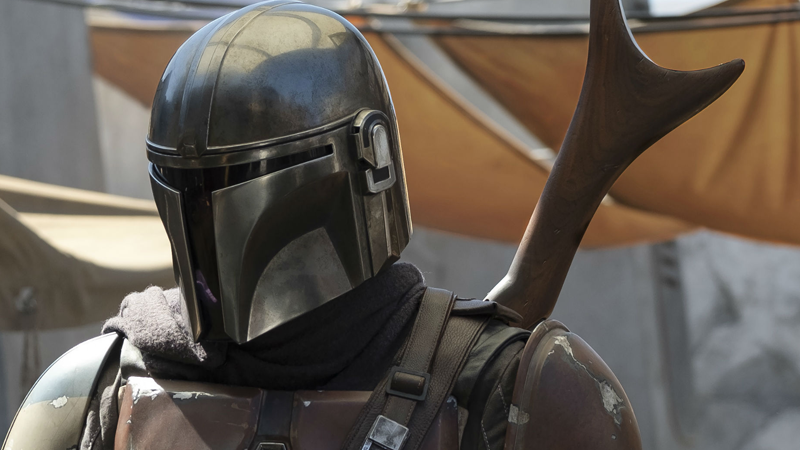 The titular Mandalorian could be about to meet a familiar face from Star Wars’ past. For better or worse, Star Wars is fascinated with Star Wars. Countless books, games, comics, movies, and TV shows exist with the purpose of expounding on characters we already know a lot about. But Jon Favreau’s latest addition to The Mandalorian is leaving me questioning just how delightfully absurd this franchise can be sometimes. Jon Favreau—the number one source for any and all news relating to the upcoming Disney+ streaming show The Mandalorian—posted a snap from the set late last night, as he is wont to do, that seemingly confirmed the return of a very familiar Star Wars face. No, not another bounty hunter, before you ask. And thankfully not Boba Fett. I’m talking about one of the most vital characters to the entire Star Wars saga. Also known as “that droid in A New Hope that blew up literally seconds after being bought by Luke and his uncle.” You know, the one they passed on R2-D2 for at first, thus potentially creating an entire timeline where A New Hope never happened. Yes, it is indeed the same droid—its red-and-blue paint job is a little faded, its bodywork a little battered, but who wouldn’t be approximately seven years after a bad motivator literally blew off part of your head? But whether R5 is just a cute cameo on the background of some scene or a major player in The Mandalorian, its mere return either way just has my Star Wars-addled brain positively reeling with the implications of this frankly devastating impact on canon. Does this mean The Mandalorian takes place, at least partially, on Tatooine? There were some wonderings from early set pictures and then the official reveal of the titular lone wanderer that yet another return to the busiest barren dustball in the galaxy was in the cards. But if it’s not Tatooine, then how did R5-D4 get out of the clutches of the Jawa Sandcrawler and get off-world? Did someone purchase him between the Jawas’ arrival at the Lars homestead and the massacre by remarkably precise Imperial Stormtroopers a day later? Was he not as dead as we thought? Were the repairs needed to give R5 a new life more than just replacing one little exploded motivator? It’ll have been seven whole years since we saw R5-D4's alleged demise and whatever his appearance in The Mandalorian is. What if he really became the infamous Skippy, the Jedi Droid? What if he’s the last Jedi!? I don’t know any more. I think this may have broken me. I do know that I think at this point Star Wars is doing an awful lot of reaching as it continues to dredge up characters we have even the vaguest familiarity with. But, paradoxically, I also know I now desperately want at least a five-issue Marvel Comic that explains how R5-D4 got from there to here either way. I mean, if the dude who seems like he’s gonna be the gift shop owner at Star Wars Disneyland is getting one, why not one of the most important droids in all of Star Wars, to celebrate its triumphant return to prominence? Excuse me sir, but these blog posts are in prime condition. A real bargain!